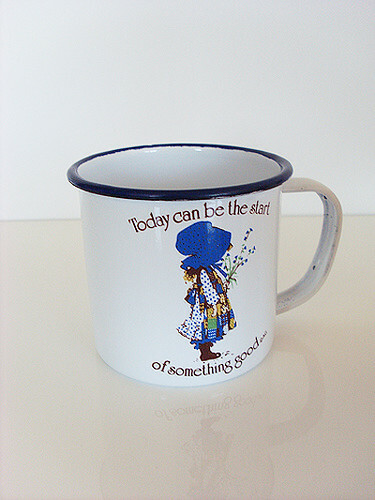 On a trip with friends to the west coast of Vancouver Island one summer, I found a tin “Holly Hobbie” mug that had washed up on shore. The next morning I showed it to my friend Jonathan, who was cooking us breakfast. Me: “Look! Isn’t that sweet.